Cure for ADRD (Attention Deficit Relational Disorder) announced! Impactiviti Pharmaceuticals today announced the approval of Relativiti (aprillinate oneicus), a unique therapy for treating Attention Deficit Relational Disorder (ADRD). ADRD is a syndrome that affects approximately 96% of all males, and is characterized by a lack of listening skills, a disinterest in spousal conversation, and an obsession with sports and beer at the expense of participating in interactive male-female relationships. The 4% not so afflicted are generally comatose at any given time. Relativiti (pron. Ree-late-iv-i-tee) works by temporarily transforming testosterone to a new “hybrid hormone” called Testrogen, which enables the subject to maintain critical elements of his masculinity, while also experiencing more classic female relationship traits. As an added bonus, there is also a short-term memory loss while under the influence of Relativiti, so that subjects are not aware of the temporary shift into relational mode, thereby preserving their fragile sense of impervious manhood. In Phase III clinical trials, 99.5% of spousal units reported immense satisfaction with the results of using Relativiti, while 0.0% of the test subjects were aware of what the heck was going on. Several spousal units dropped out due to Traumatic Stress Disorder or heart attack after seeing the drug’s effects, but these risks were deemed acceptable in light of the encouraging results produced. The Fooz and Drug Association (FDA), after a few grams of Relativiti were slipped into their drinking water during deliberations, sympathized with the plight of women everywhere and fast-tracked the drug through an unheard-of 6-hour approval process (clinical note: Relativiti has a half-life of ~7 hours). Side effects were mild and transient, including drinking ultra-light beer, reading People magazine, and having difficulty deciding which power tie to wear to work. These effects generally disappeared after engaging in activities such as firing up a loud chainsaw. Impactiviti Pharmaceuticals has been barraged with requests for Relativiti ever since word of the approval leaked out via the newly established FDA Gossip-line blog. An emotional Steve Woodpuffin, President of Impactiviti Pharma, held a news conference during which he expressed his profound feelings for the half of the world which continually wrestles with the ravages of ADRD. “It’s been difficult, all these years, seeing women suffer with men who, due to inbred Hormonal Imbalance Syndrome (HIS), could or would not communicate effectively. After seeing the soulful look in the eyes of our initial test subjects – their genuine interest in a non-directed conversation, their affectionate expressions of care, their readiness to drop all for the sake of helping with the dishes – we knew we were well on the way to solving one of the world’s ‘Big Ones.’ The fact that we’ll make boatloads of cash in the process has also not been lost on me,” stated Woodpuffin. Relativiti will be available, by prescription only (or OTC, or on street corners) in three strengths – Big, Mega, and Ultra-Strength. It should be noted that use of Ultra-Strength, typically administered for truck drivers and Sumo wrestlers, may cause brief episodes of uncontrollable weeping. A new formulation, for men with sensitive skin, is also in the works. For those spousal units who truly need to administer Relativiti “on the sly,” a special fast-dissolving powdered formulation is available for sprinkling into food or drink. For more information, please see our pharma website at www.impactiviti.com. Or our branding website at www.stickyfigure.com. Oh, you’re already there. Well, happy April! This week, I was surprised to receive a phone call from a mainstream reporter (TheStreet.com), asking for my opinions on small business branding. Many of you may not be aware that, beside my full-time work consulting with pharmaceutical companies, I also do some work in the marketing/branding arena (in fact, I have a separate blog, StickyFigure, as an outlet for that – if you’re looking for my thoughts on marketing and branding, that’s the site you want to visit. This site, impactiviti.com, focuses on my pharmaceutical consulting practice). I guess I had a lot of pent-up ideas, because I found myself, quite uncharacteristically, letting loose a stream of thoughts and words. Here’s the article on TheStreet.com website. A bonanza of cardiology news! Novartis’ new HPB drug, Tekturna, shows solid results used with Diovan. Schering-Plough has promising results for its investigational blood thinner. New heart failure drug: symptom relief, but no extended life (a single, but everyone still looking for the home run). Curious result for potent Lilly experimental cholesterol drug – ho-hum efficacy. Will antisense drugs finally break through? Maybe. Stents, stents, and more stents! Abbott’s new experimental stent looks like a real winner – too bad it has such a non-intuitive name (Xience). Abbott also looks to score with the first absorbable (dissolving) stent. But here’s an interesting study result – angioplasty no more effective than drug therapy? That’s a potential clinical practice game-changer. Pfizer appears to be losing out on some Norvasc patent life. This not only has positive ramifications for makers of generics, but also for Novartis, who has a combo drug using amlopidine teed up. Speaking of combos, Merck is already moving forward with a Januvia/metformin combo for diabetes. This article with commentary from Pharmalot, one my top daily sources for pharma news. Accomplia, Sanofi’s new weight loss drug, seems to be on an approval treadmill. This article from the new Wall Street Journal Health blog, a new entry into the pharma blogosphere that is quite high-quality. 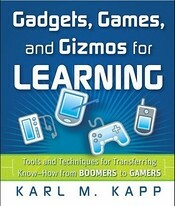 Karl M. Kapp is a professor of instructional technology at Bloomsburg University, and this new book, due for release in mid-April, takes on a very important topic in learning/training – namely, how to move knowledge from one generation of workers (the Boomers) to the newest generation (the Gamers), when there is a gap not only in age, but also in learning style. The book (I was forwarded an advance copy for review) is quite well written, full of interesting anecdotes and helpful insights drawn from personal experience. Karl, like many of us, is part of the Boomer generation, and as we see our kids take to technology like fish to water, we struggle to enter fully into their thoroughly connected/always-on/multi-tasking world. Further, we face what the main thesis of this book underlines – a new way of learning. Gamers are digital natives – they’ve only ever known this connected world of technology. Kapp accurately calls those of us who still remember black and white television “digital immigrants” – we entered into this techno-world from another time and place and don’t always “get” how the natives think! The Gamer Generation has grown up in the video game world of immersion, unlimited do-overs, and instant feedback. The result is that they have verifiably different mind-sets, attitudes, and behaviors, regarding business, education, and culture from those who did not grow up playing video games. Over the years, the boomers have “built up a tremendous amount of knowledge about how things work, how to get things done, and who to go to when problems arise. In some cases, this practical knowledge will be extremely hard to replace because it has been developed in an era of unprecedented technological and scientific advances.” The knowledge is starting to walk out the door and will soon be sprinting toward the exits…Muddying the water is the fact that the incoming gamers have grown up in a vastly different world that the boomers did. Gamers have different ideas about connectivity, reporting hierarchies, learning, and communication, all forged while playing games, manipulating gadgets, and surfing the Web…Organizations that successfully transfer business acumen and hard-earned experiences to the incoming gamer generation will see tremendous leaps in productivity, quality, and profitability. Organizations that cannot transfer knowledge will experience dire results. This generation can be decidedly non-linear in thought process, having a high comfort level with multi-tasking, and Google-driven expectations of instant information retrieval. Through early exposure to gaming, the upcoming group of workers is used to strategic thinking, creating their own paths, and immediate feedback. When viewed in this light, we have to question many of our current training methodologies, which are based on a different learning style carried over from a different generation. A very helpful snippet from the book is a chart (on page 16) showing how games have evolved in four different stages, with ever greater levels of interactivity, immersion, complexity, and collaboration. This was an eye-opener for me, as the level of mental dexterity has ramped up over the years, requiring higher-level thinking and learning patterns. From a corporate training perspective, the case study of visual job aids as a replacement for printed SOPs (pages 136-138) was a fascinating application of technology to a real training problem. This was one of many illustrative stories sprinkled throughout the book that increased its practical value. For any serious training professional dealing with the issue of incorporating the newer generation of workers into a company, I highly recommend this volume. It is not overburdened with academic abstractions; in fact, the book is loaded with practical suggestions, including ways to introduce these new styles of learning into a resistant corporate culture. I found only one frustration with the book, which is that its overall length and thoroughness (a real strength!) may restrict its readership. That’s a shame, because there is some very valuable insight here, and if one were to remove a number of more overt references to corporate training per se, and cut down on the number of examples, that streamlined version could potentially reach a much broader and larger audience. For instance, if much of the material from the first chapter, then a sprinkling of the insights and examples from subsequent chapters, were to be re-purposed into a 40-page downloadable e-book, distributed for free, I think the net effect would be to get this vital message in front of a lot more eyeballs (corporate, academia, and even parents! ), and would undoubtedly lead to increased (not decreased) sales of the full book. But if you’re a training professional in need of ammunition to argue for new modes of learning, look no further. Gadgets, Games and Gizmos will give you everything you need to make your case! Or at least, as Kapp recounts, to be able to justify your purchase of various technological toys to your spouse as “research” expenses! Take-One is played without a board. Tiles are placed face down in the middle of the table. Players draw from these communal letters trying to build words with their personal tiles in front of them (each player starts with 7, drawn face down from the pool). Words can be built by rearranging tiles you’ve drawn and by playing through pre-existing words as if they were playing Solitaire Scrabble. If a player plays all of the tiles in front of them, they call “Take One”, and everybody takes one tile, continuing to build out your “personal” down-and-across structure of words. Play continues until there are no more tiles left to draw, and someone uses up all their letters. Count up the value of your tiles/words just as in regular Scrabble (no double/triple values, as there is no board), and any players with unused tiles left over deduct those point values from their score. So, if you like word games but want more “action” and a higher pulse rate, try Take-One! Are Pharma Sales Reps Obsolete? I don’t think so. But a lot of the mainstream press wants to portray pharma sales representatives as valueless leeches on the healthcare marketplace, seeking for all the wrong reasons to influence doctors to prescribe drugs for all the wrong reasons. There are plenty of articles on rep/cheerleaders, on office lunches, on giveaways, on off-label promotions – and, of course, it’s not difficult to find troublesome examples. One can easily conclude that the demise of the drug rep would be a welcome development for many in our society. 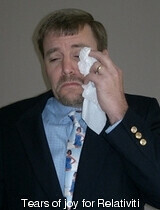 And, of course, many reps are disillusioned with the current climate. I was talking to a business partner the other day, who has a long background in the pharma sales/training business, and we were wondering if Darwinian natural selection was going to inexorably lead to the extinction of the rep-as-we-know-it. What we should be thinking about, however, is how can companies adapt to the new business climate? What is the new value proposition for a professional representative of a drug company? All companies need to promote and sell their products in some fashion – that’s just an inescapable element of plain old common sense capitalism – and drug companies are no different. But if you could start all over with a clean slate, how would you design a “new” sales representative – a “new” sales force – modeled not after the old legacy structure, but built strictly to the specifications of our current and evolving marketplace? Would you do a total radical makeover, or do you think only tweaks are needed? Envision a blank screen in your mind’s eye. Project up on the screen the long-term commercial, medical, regulatory, political, and P.R. trends that are shaping our healthcare market. Put yourself at the head of a brand new company, with no necessity to shape things according to “the old way.” What would you do? Feel free to whiteboard your ideas in the Comments section above! Home Depot Inc. likes computer-based training — most of the time. When the big Atlanta-based retailer hires new cashiers, it marches them through online simulations of making change and processing credit cards. Recruits learn so quickly that training time has shrunk 30% from classroom norms. On the sales floor, however, it’s a different story. After dabbling with online training, Home Depot is relying more on personal mentoring instead. It has started a U.S.-wide hiring drive for experienced plumbers, landscapers and other tradespeople, asking them to help coach rookie sales associates. “There’s no substitute for having skilled tradespeople in the aisles, informally spreading knowledge,” says Roger Anderson, Home Depot’s director of learning for store associates. Selling requires knowing the products, explaining them clearly and discerning customer wants, he explains. Computer drills can’t easily blend those elements; newcomers learn better by watching customer interactions. At a Home Depot in Daly City, Calif., Robert Alvarado, right, trains Chris Messer in sales. Home Depot’s two-pronged approach is being echoed at many companies. Online training is making rapid headway in areas where front-line workers need a standard set of facts. But to teach multiple skills for a complex job, companies opt for a more hands-on approach. One supporter of face-to-face instruction is Winfred Arthur Jr., a professor of psychology and management at Texas A&M University. In a 2003 journal article, he reviewed 164 studies of various training methods’ effectiveness. Trainees didn’t always enjoy face-to-face teaching, but it produced some of the biggest knowledge jumps, he says. Traci Sitzmann, a research scientist working for the U.S. Defense Department’s Advanced Distributed Learning Co-Laboratory, reviewed 96 training studies conducted since 1996, and found Web-based training was more effective than classroom instruction for teaching facts. But she didn’t find significant differences between the two for teaching overall job mastery. “Selling is such an interpersonal interaction,” says Steve Kittel, a training specialist for Recreational Equipment Inc. The Kent, Wash., retailer of outdoor goods spends hours helping new sales clerks spot the difference between transactional customers, who want a specific product, and consultative customers, who want to chat about choices. REI uses videos for part of its sales training but has trimmed their role in recent years. It relies more on role-playing, with new employees facing trainers who simulate a wide range of customer behavior. For technical training, hands-on experience still predominates. “You can’t learn to climb a telephone pole online,” managers at Qwest Communications International Inc. say. The Denver phone company estimates that 80% of training in its network department is done face-to-face, versus 20% online. Qwest trains many field technicians at a 252,000-square-foot facility in Lakewood, Colo., with 46 classrooms and six huts where employees practice wiring a home for telephone or Internet service. Instructors can introduce line trouble that trainees must diagnose and decide how to fix. 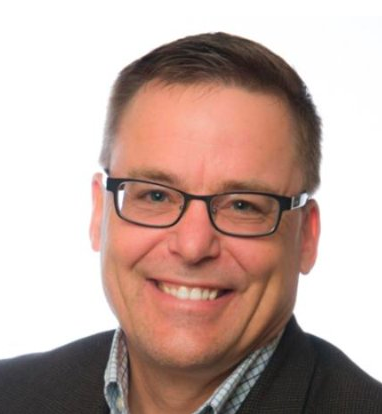 To learn how to install and fix equipment, employees must “experience situations in the field,” says Curt Reimer, Qwest’s head of network training.